There are many companies supplying standard 50Hz or 60Hz transformers using grain oriented lamination steel. 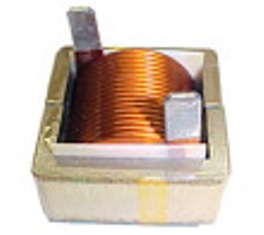 These standard off the shelf lamination transformers are usually with 120Vac or 220Vac, single of multiple outputs and with some standard output voltages of 5Vac, or 12 Vac, etc. However when a customer or engineer is looking for a custom 50Hz/60Hz transformer with single or multiple input voltages such as 440Vac or 600Vac and custom output voltages, it is often difficult to find a vendor who can design and built these custom lamination transformers when the volume is low. CWS specializes in designing and buiding low volume custom 50Hz or 60Hz or 400Hz transformers using lamination or tape wound cores. In fact, CWS can design and built custom transformers with frequecies lower than 50 Hz and up to 1,000 Hz using silicon E laminations and tape wound cores, or using Amorphous Cores (such as Metglas*) or Nanocrystalline Cores (such as Finemet* or Vitroperm*) tape would cores. Since the design is customized, all input values, all output values, any isolation between input and outputs can be entertained. These custom transformers can be open frame or potted, with bobbin pins or flying leads. The power level can be from milli-Volts-Amps (VA) to 1,000 KVAs or higher. Please see the table below for some of the custom transformers we have designed and shipped to our satisfied customers. Customer reference are available. Please contact CWS at sales@coilws.com for quotes and inquires. Other custom designed transformers from CWS are400 Hz military, aerospace or naval transformers using amorphous ribbon cores. 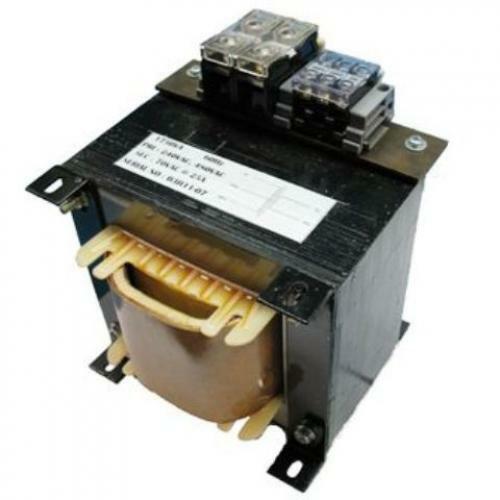 These transformers are encapsulated in metal case with mounting feets for high performance. The parts listed below are some examples of some custom 50Hz Transformers or Custom 60Hz transformer or 400Hz transformers.